No winning tickets for Saturday's Powerball lottery drawing were sold, according to officials. As a result, the next drawing — to take place on Wednesday — will raise the stakes to more than a billion dollars. The odds of winning remain the same, but if you're heading to the ticket counter, you're probably wondering how to up your chances, perhaps by picking the Powerball numbers that come up most often. Thanks to a surge in ticket sales for Saturday's $949 million drawing, Wednesday's jackpot will be set at $1.38 billion. 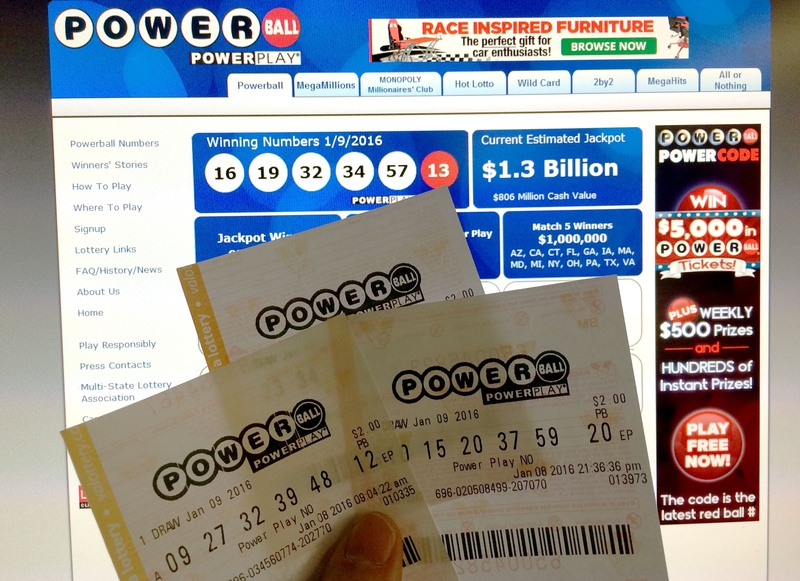 If you win, you're looking at a lump sum of roughly $806 million, or annual payments spread out over 29 years. The general consensus from statistical experts and average Joes alike, though, is that it's all but impossible to win. To walk away with the millions, you have to match the drawing's five numbers between one and 69, in any order. These are the numbers on the white balls. Then, you have to match the red Powerball number, which is somewhere between one and 26. All in all, the odds of making this happen are one in 292.2 million. The good news? Contrary to popular belief, the number of people who participate does not affect your chances of winning. The odds remain the same because no matter how many people participate, there are always the same number of possible number combinations. If you want any hope of increasing your chances, you'll have to find a way to pick the best Powerball number. According to history, 20 might be a good bet. It's the Powerball number selected most often — 75 times, in fact — followed by the number 6, which has been chosen 74 times, and number 2, which has been drawn 69 times. Numbers 18, 9, and 1 have each been selected 68 times. When it comes to selecting the white ball numbers, you might want to stay away from anything in the 60s. Numbers 60 and 61 have only been chosen once each, while 65, 66, and 67 have only been chosen twice each. Numbers 63 and 69 have been chosen three times each. It's important to note that basing your future lottery picks on the frequency of previous picks doesn't actually increase your chances in any legitimate way. Each time the numbers are drawn, there is the same number of potential combinations and the same probability that each combination will be chosen. In fact, you might be better off leaving your picks to a machine, anyway. According to The Palm Beach Post, officials say that three-quarters of Powerball jackpot winners have used what's called Quick Picks, tickets made up of computer-generated selections. Your next chance to win the record-shattering Powerball jackpot is Wednesday night. You and every person you know have until then to come up with a winning strategy or just come to terms with the fact that there is no winning strategy at all. May the odds be ever in your favor!